Allied American Abstract Corporation, headquartered in Utica, New York, is a multi-faceted real estate services corporation minimizing the burdens of real estate transactions for attorneys, consumers, realtors, and lenders. Our mission: to get you to the closing table and get your mortgage on record as quickly and seamlessly as possible. 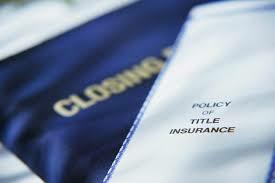 We will handle your title searches, title examinations, issue title commitments, arrange for closing services, and issue title insurance. As an authorized agent for Chicago Title Insurance Company, Stewart Title Insurance Company and Westcor Title Insurance Company, Allied American Abstract Corporation also writes owner's and lender's policies for both residential and commercial transactions. Fully insured and with over 35 years of experience, we are dedicated to providing the highest level of personal service, meeting your needs in a timely and accurate manner. Contact us and discover for yourself why so many New York attorneys, consumers, realtors and lenders rank Allied American Abstract Corporation as one of the top real estate transaction companies in New York State.